The seller of this boat clearly believes in maintaining his boat to a high standard. The gel coat shines, the engine and bilge are clean. Great Condition and has required no repairs. Stock #164147 Excellent condition Eclipse E1! Upgraded sound system with dual JL 10" M-Series marine subwoofers & 6 JL 6.5" speakers! If you are in the market for a deck boat, look no further than this 2012 Crownline Eclipse E1 EC 20, priced right at $37,300 (offers encouraged). 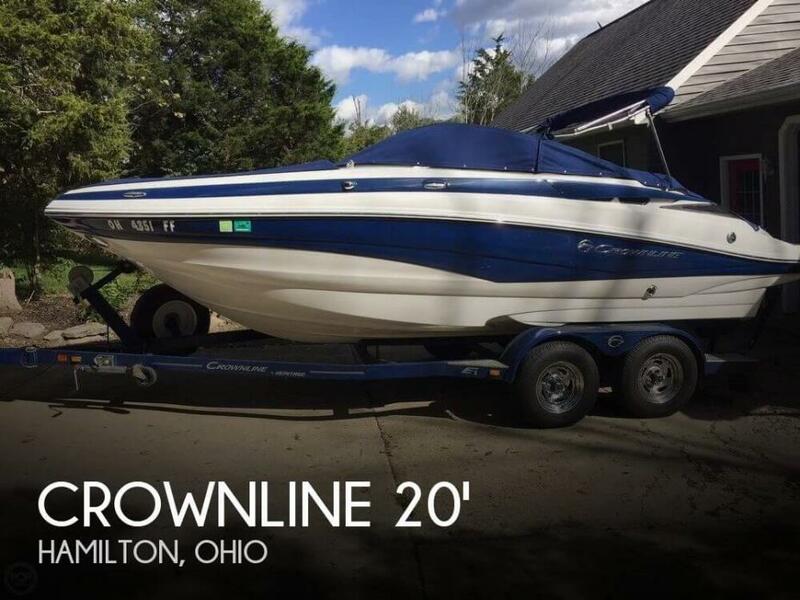 This boat is located in Hamilton, Ohio and is in great condition. She is also equipped with a Mercruiser engine. Reason for selling is looking for a larger boat.